Air carriers no longer wish to be called the Number 2 air polluters and are joining the emissions trading scheme. 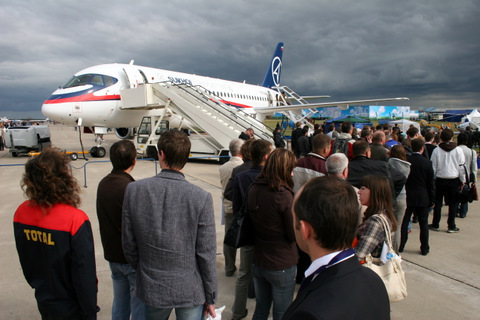 Starting from January 1, 2012, a carbon surcharge will be implemented in Europe and international air travel is the first one to pay. NGOs hope that the money will be used to fund actual measures to combat climate change and that the sanctions will result in emissions reduction, not in reduction of air travel. During the Bonn climate talks the EU came up with an initiative concerning bunker fuels, namely those used for civil aviation. Air travel has been under careful attention by environmentalists for a long time, since this is one of the largest man-made sources of carbon emissions. It contributes to over 20% of GHG emissions, topped only by the energy sector. Since 1960-s passenger traffic has been increasing by around 9% annually, cargo traffic by 11%, and air mail by 7%. The impact of this sort of pollution is regarded as greater since it is produced in the upper layers of the atmosphere and not at the Earth surface. Along with CO2, an aircraft emits vapour, nitrogen oxides, soot and sulfates. According to IPCC prognosis, the share of air transit will increase from 3 to 5% of all transportation by 2050. However, so far neither of around 300 existing airlines has come up with ideas on how to avoid emissions growth. According to experts, even the existence of the European common aviation area can help reduce CO2 emissions by 10 million tons per year. The EU carbon payment calculation scheme is quite complicated. The airlines, not the countries shall pay. The payments should be in form of purchasing emissions quotas in ETS as related to the actual CO2 emissions from burning fuel. Companies can buy the necessary amount of quotas in the ETS. They may also use the units generated by JI and CDM projects in small amounts. In order not to “explode” the payments, there is a method of distribution of special units for airlines, the so-called EUAA, free of charge. The base for this sort of accounting will be the EU air transit emissions baseline – the average between the years 2004 through 2006, which means 220 mln of tons of CO2 per year. 85% of the units will be distributed among airlines based on their traffic volume within the EU territory. Length of shipments, number of passengers and cargo volume are taken into consideration. If in 2010 the airline had minimal emissions, it receives a bonus. The carbon payment for using the air area of a certain territory is obviously far from being fair. Airlines from any country will have to pay regardless of their views on carbon regulations. Only flying over the territory of Europe will be charged for, while emissions over other countries are free. Thus we may anticipate that soon other countries including Russia will follow this example. Russia’s huge territory may be of a significant advantage when it goes about charging carbon payments for flying over it. The introduction of carbon payments will most likely lead to increased prices on plane tickets, unfortunately for common consumers. Nevertheless, finally, the emissions will have a sensible equivalent which is very important for our country in terms of teaching people about true costs of climate change. Now, whether you believe in it or not, you have to understand that the emissions cost. Thus, this may become the stimulus to reduce them. A few international carriers are already demonstrating the readiness to accept the EU novelties: both Ryanair and EasyJet are widely advertizing their brand new aircraft guaranteing minimal GHG emissions. According to the authors of the initiative, the introduction of carbon payments within the EU territory will have a strong effect on the international level as well. More innovations are soon to come: further on the list are payments on civil marine transit, in case there is no advancement on bunker fuels regulation of the international level. Right now one of the largest emitters finally has serous motivation to reduce its emissions. The question that remains is “where will the collected money go to”? While there are still no transparent schemes of carbon-derived funds expenditures, there are doubts that it will actually be used to combat climate change.